Creating a simple and elegant look has never been easier! Our shepherd hooks and base sets allows you to use a traditional shepherd hook indoors or without having to plant in the ground! 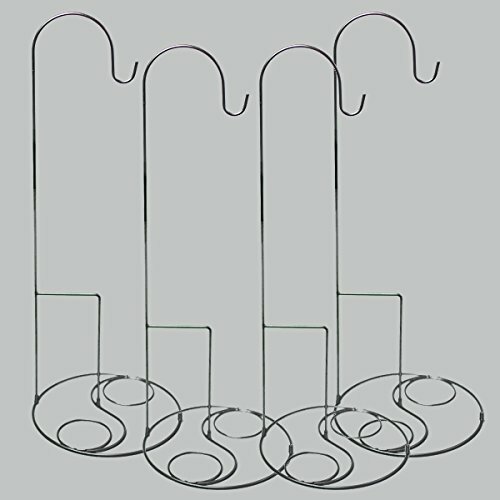 The handy bases allows you to place your shepherd hook inside the slots to create a sturdy spot for your hanging holders! Whether you are using hanging holders with florals or candles, the look that you can create with the hooks and bases will wow your guests! Available in white or black, as well as having an option of a simple or swirl base. Check out our complete line of hanging holders to create endless combinations! Also check out or new votive holder stakes which easily mix and match with the simple or swirl bases.